Retreats should not, normally, be bathed in a sheen of glory, but the evacuation of 338,000 allied troops (193,000 of whom were British and the rest French) from the beaches of Dunkirk in May, 1940 has generally been regarded as something of a miracle. Christopher Nolan’s dramatic film about this eye-popping World War 2 event – in which the British admiralty hoped to rescue only 45,000 troops – certainly isn’t shy about the glory factor, at least from a British point of view. If you’re French, on the other hand, you may not be so happy. The movie incorporates three narrative strands: the (few) Spitfires battling the Luftwaffe, the pleasure boats that puttered across the channel to pick up soldiers and finally the evacuation itself and the experiences of soldiers waiting on the beaches. Nolan expertly cross-cuts between each of these elements, gradually building a momentum that takes us through the entire film. 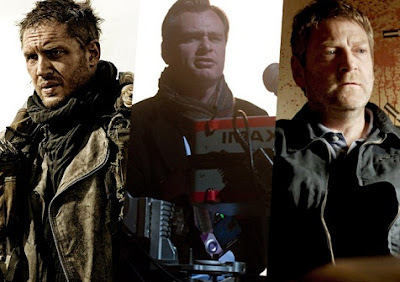 Tom Hardy is a Spitfire pilot waging almost a lone battle against the Luftwaffe; Mark Rylance is a civilian heading for Dunkirk in his pleasure craft who picks up a traumatised soldier (Cillian Murphy) while Fionn Whitehead, Harry Styles (formerly of the One Direction pop group) and Kenneth Branagh represent the soldiers and their commanders going through shot, shell and torpedo on the beaches. One of the film’s most remarkable qualities is its contracting and expanding of time. The three strands, labelled “The Mole”, “The Sea” and “The Air” operate on different time scales. The action on the beaches lasts for a week (roughly from May 26 until June 3), the pleasure boat sea rescue takes one day and the Spitfire scenes comprise an hour’s flying time. And yet so skillfully does Nolan intertwine them that they seem all of a piece. Filmgoers might recall the director’s skill in this regard in his previous films, Inception and Memento, but it is still a stunning achievement. Visually the film is a spectacular feast for our eyeballs. The movie appears in various projection formats, including the most spectacular, the Imax 70mm extravaganza, which I would recommend you see. There is an almost lyrical quality to Hardy’s dogfights while some of the beach scenes are jaw-dropping in their harsh majesty. There are a few false notes – I found the scenes in a fishing trawler washed up on the beach somewhat laboured and unlikely – but in the main this is a magnificent spectacle, admirably shot by Hoyte van Hoytema and scored by Hans Zimmer, that is well worth experiencing.